I love Thai food! Most Indians I know love Thai food, too. Both are Asian cuisines that use some of the same ingredients (coconut, chilies, cumin, coriander, and garlic, to name a few), although in different combinations with very different results. Both have curries, both serve their dishes with rice, and both are absolutely delicious. And if you like it hot, both Thai and Indian are the way to go! I didn’t grow up eating Thai food, but since dating and marrying B, I have explored many Thai restaurants and tasted many Thai dishes. In fact, our first official date was at a Thai restaurant! My favorite dishes are the curries, especially the Panang and green varieties. Luckily, Thai food isn’t difficult to make. 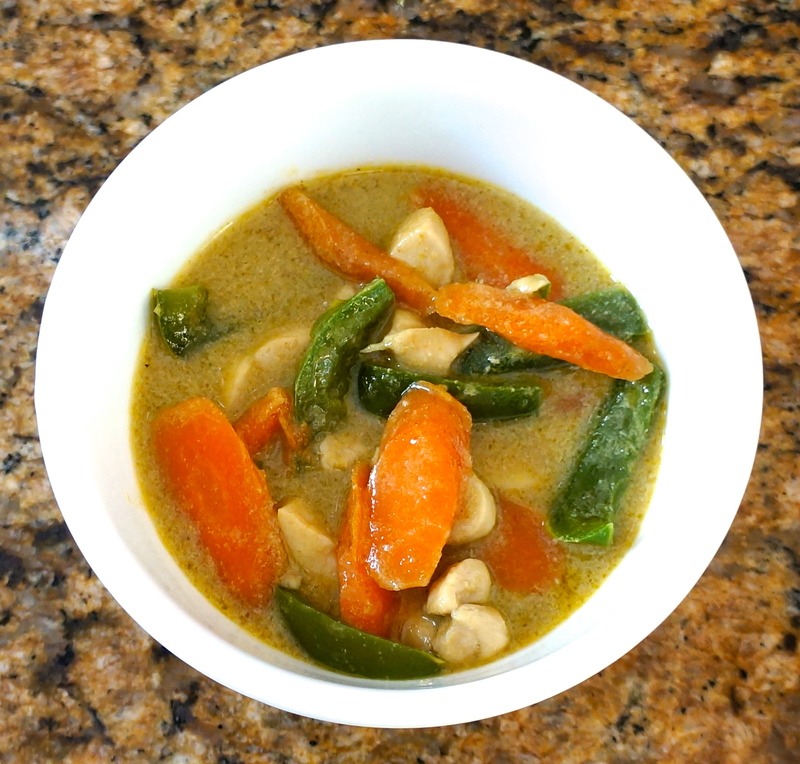 I use a pre-made Thai curry paste purchased at an Asian grocery store combined with a can of coconut milk and whatever meat and vegetables I have on hand. It really is that simple. I love this dish because it has only a few ingredients, is easy to prep, and cooks quickly. 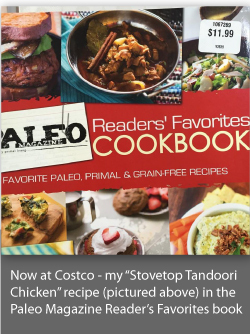 It is great for nights when I don’t have a lot of time to cook, and it is easily adapted for kids who don’t like spicy food (see note below). 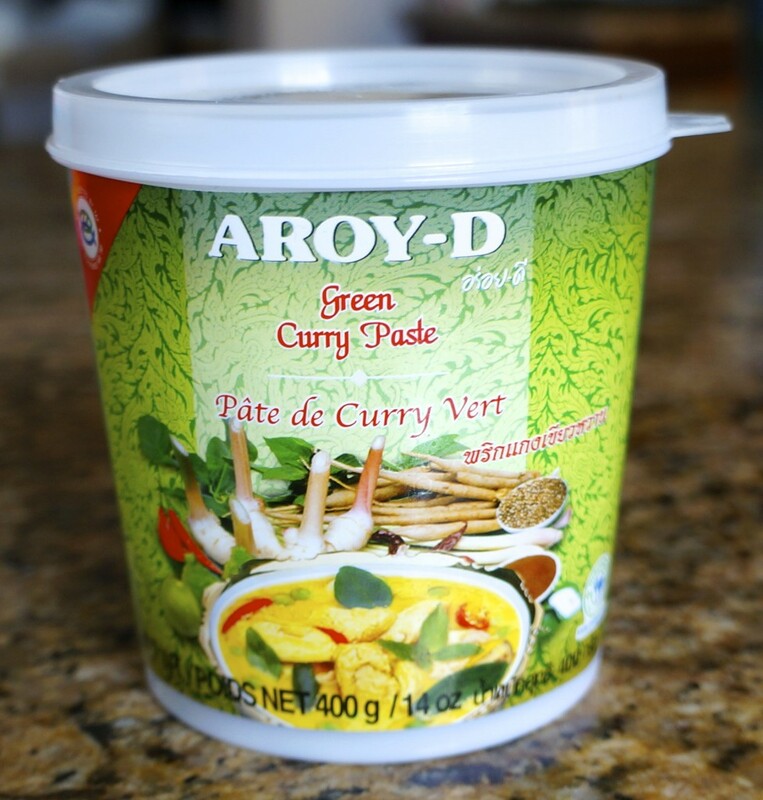 The nice thing about the curry paste is that it keeps for several months in the refrigerator once it is opened. I hope some spicy Thai food is in your future! 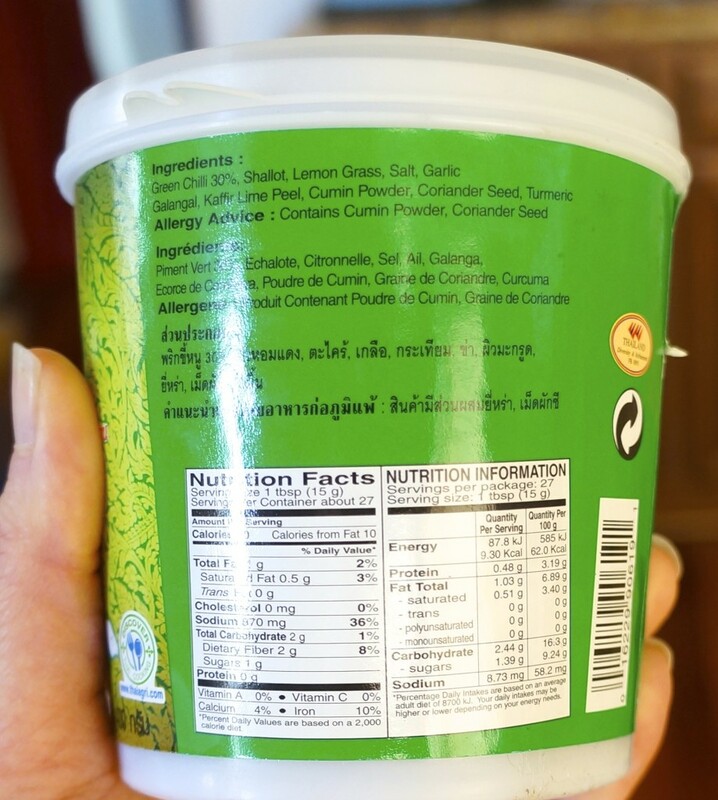 Curry pastes usually come with cooking instructions, but they often call for industrial seed oils and/or sugar (both of which we want to avoid). Follow my instructions instead! Heat a wok or large, deep skillet over medium heat. Add half of a can of coconut milk and then stir in the curry paste to taste. I used about 2 Tbsp. because we like it spicy! If you’re unsure about how much to use, start with a teaspoon and then taste the sauce. If it needs more flavor/spice, add more. Taste and repeat until it tastes good to you. When the curry paste is completely mixed into the coconut milk, add the rest of the coconut milk and bring it to a boil. Add the meat and stir. If you are adding fish sauce, add this with the meat. Cook over medium heat until the meat is cooked through. Add the vegetables, and continue to cook uncovered until the vegetables are as done as you like them. If the sauce seems too thick for you, add a little water or broth to thin it out. Start with a couple of tablespoons and add more if needed–you don’t want it too thin. Serve over rice, cauliflower rice, or alone. Enjoy! **To make it more kid-friendly (i.e. less spicy), I remove some chicken and/or vegetables from the sauce once it is all cooked, place it in a mesh strainer, and rinse it thoroughly under warm water. This removes most of the heat, but keeps some of the flavor, which I want my kids to experience. Also, my kids don’t always like cooked vegetables, so when I’m prepping this meal, I set aside some of the raw veggies for them to have with dinner. If they like sauce, you can reserve a bit of the coconut milk and thin it with some broth for a flavorful and nutritious sauce. This is great, simple and tasty. My mom introduced me to the canned version but this is more economical. You’re welcome! The paste lasts a long time in the fridge, so it’s a great money saver!